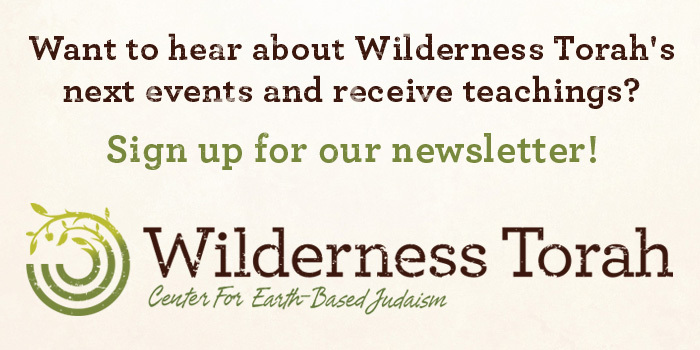 Join the Wilderness Torah community, in Sonoma County, for an earth-based Rosh Hoshanah journey of celebration, praying, reflection, releasing, and intention-setting for the coming year. 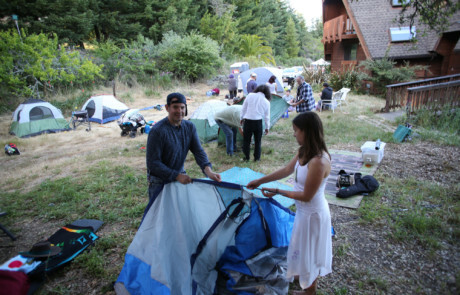 We will gather in community on a farm near Sebastopol for a two-day retreat co-facilitated by Rabbi Zelig Golden, Mikey Pauker, Aleksandra Dubov, and community musicians including: Sahib Khalsa, Eva Orbuch, and Willee Roberts. Rosh Hashanah tickets are now SOLD OUT. You can still register for Yom Kippur here. Avodah positions may still available. Please apply and we will notify you if there is a need. Avodah is intended for those who want to serve and have financial need. Rosh Hashanah is reasonably priced, with additional discounts and work-trade available to reduce cost further. Our pricing does not cover the full cost to produce the event. With this in mind, we ask that you consider your ability to pay before applying for Avodah. Everything that is part of our village is transported in a big truck, loaded at our storage in North Oakland. This position allows you freedom to enjoy the holiday without working during the event! We will be getting ready for the holiday, including unloading the truck, putting up all structures, and decorations. This position also allows you to enjoy the holiday without working during the event. We provide lunch during setup. Help break down and clean up the village after the event. Good organizers encouraged! During the evening and morning prayers, we will have kidcare to help support and supervise your children ages 3–12. Teens 13+ participate in prayer services with the rest of the village. If you are bringing your children, please plan on bringing one kid-friendly potluck dish for the kids’ meal on Sunday night. Wilderness Torah will provide all meals and snacks on Monday. We are hosting a potluck feast for Erev Rosh Hashanah (Sunday evening). If you are attending, please plan on bringing ONE* potluck dish for Sunday night. For potluck please bring only vegetarian, dairy, and/or fish. No meat please. *If you have children, please plan on bringing ONE potluck dish for the whole group AND one kid meal potluck dish. Thank you! On the day of Rosh Hashanah (Monday) Wilderness Torah will be providing Breakfast and Kiddush Lunch. A snack table will be open morning until the afternoon; and a beverage station will offer tea and coffee. On Site Indoor Accommodations: For an additional fee there are also limited indoor accommodations onsite. There is a beautiful Victorian farmhouse on the retreat site which has a limited number of beds in shared rooms available **All inside accommodations include bedding and access to indoor bathrooms. To reserve yourself a bed please fill out this form. Off Site Accommodations: There are also many options for different hotels, motels, and inns in near Sebastopol and Occidental, CA.